CBD Girl Scout Cookies from CBD crew is a brave and masterful reimagining of Girl Scout Cookies, making the most out of the strains versatile genetics. Offering a 1:1 THC to CBD ratio with levels that reach up to 10% is a unique prospect in the cannabis market today. A worthy acquisition for all those that value the power of CBD and a potent high. 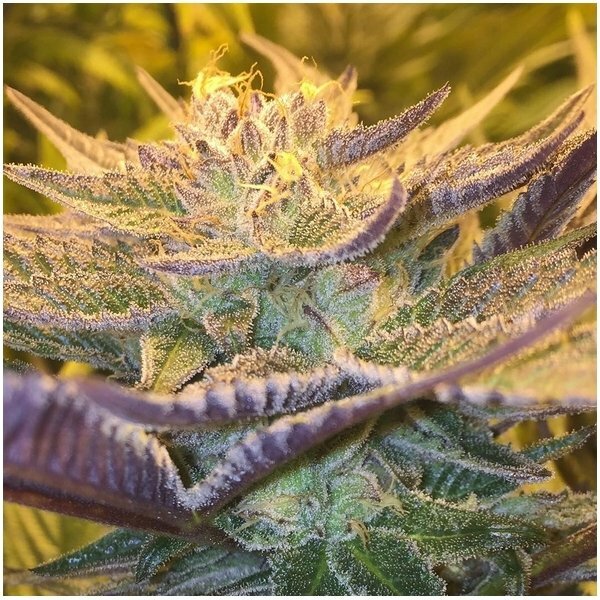 CBD Girl Scout Cookies or CBD GSC is another masterfully reengineered strain by the CBD Crew - a small breeding company with a well deserved worldwide recognition. The strain is parented by OG Kush and Durban Poison, both well-known cup winning cannabis strains. One could argue that CBD Girl Scout Cookies is the first to unlock the true potential of its parent strains. CBD Girl Scout Cookies is suitable for both indoor and outdoor growing. When growing indoors, the flowering phase usually lasts 8 weeks before the plant reaches full maturity. The yield is substantial at 400-500g/m². The plant does best in a Mediterranean climate, as the strain is native to California. The cannabinoid and terpene composition of CBD Girl Scout Cookies is a thing to marvel at. The strain has an enjoyable earthy flavour, mixed with some citrus aromas. CBD Crew makes sure all their strains deserve the CBD prefix in the name - the strain has close to 1:1 ratio of THC to CBD, both ranging between 5-12%. The high is happy and mildly euphoric - best suited for unstructured activities and casual friendly gatherings. CBD Girl Scout Cookies is an amazing CBD-rich hybrid with a potent high. Great for those that suffer from cannabis induced anxiety, but want a great hybrid experience. This California native reimagining will make you skyhigh and bursting with happiness while using the full potential of CBD.